Computer: The main block that controls all! Disk Drive: The way to load the operating system or additional programs. Backplane/Memory Expansion: When your computer runs out of its builtin 8KB of memory, you can add up to 56KB additional memory. Every Memory Expansion can hold an additional 8KB of memory. Redstone Port: Allows you to output redstone signals to bundled cables. Wireless Transceiver: Allows you to send data wirelessly between computers. Retinal Scanner: Using technology from the Black Mesa Research Facility, you can scan players who use it and grant access to doors or whatever you want to do with it, really! Ribbon Cable: With this, you can connect peripherals together. Sortron: Connects to Teckle tubes, basically an advanced sorting machine. Floppy Disk: A writable disk. Can hold 256KB of data. FORTH Boot Disk: Standard operating system. See here if you need any tips on how to use the operating system. 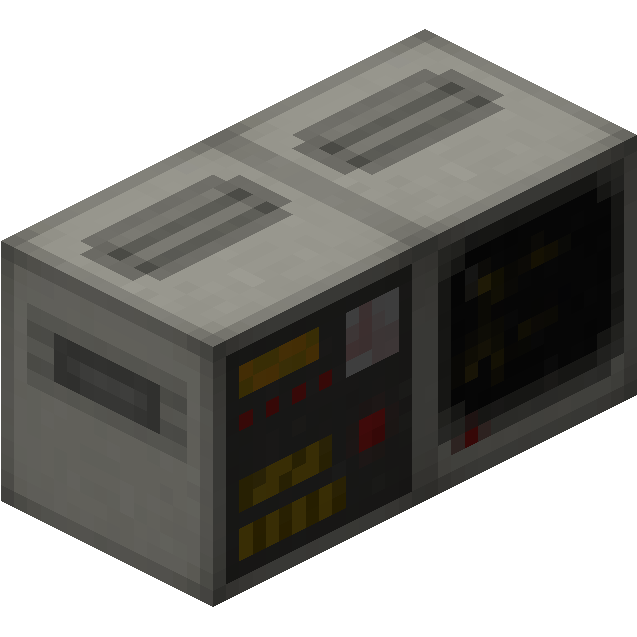 Programs disks: They spawn in dungeon chests and mineshafts and have utilities for either the Transceiver, Retinal Scanner, Sortron or a decompiler on them. Screwdriver: Allows you to change the default bus addresses for the peripherals. You only need this if you want to have two or more of the same peripheral in one network. Craft a Computer, a CPU, a Disk Drive, any of the three FORTH boot disks and a Terminal. Place the Computer down and right-click the back of it with the CPU to insert it. Place the Disk Drive and Terminal next to it. Insert the boot disk into the Disk Drive. Right click to open up the Computer's GUI. Press the switch at the right to make it run. This mod is still pretty new and therefore probably still contains bugs, so please report them here. Could you by any chances show images of the mod and how it works? One of the reasons I really enjoyed the RP computers was that the memory was allotted directly, as opposed to being a subprocess of the underlying server processor (computercraft). I had been an admin on a pretty large FTB ultimate server around the 1.4.7 era, and there was a distinct performance benefit to the former over the latter, and the RP computers also maintained state between reboots, whereas the computercraft ones did not. This is perhaps a more technical question, but is this current iteration implemented similarly? Forth has a much higher learning curve than lua, but the players that took the time to implement it did see a great deal better performance and stability in their builds, and did not have to run around and reboot all of their programs every time a server restart occurred. Yup, these are implemented in pretty much the same way. Not sure what exactly i'm doing wrong but I can't seem to get a computer running. I place the computer, right click the cpu in, cpu light shows green. I place down the terminal and disk drive and put the forth boot disk in. I then hit the switch in the gui, the one that says pause/run but it doesn't appear to stay switched, not sure if its supposed to, and then opening up the terminal GUI there's just a blinking cursor still but I cannot type. I'm probably missing something obvious but I can't figure it out. That's really strange. I assume none of the LINK and FAIL lights turn on when you flip the run switch? Try pressing HRST? Try breaking and replacing everything? Are there any errors in the MC log? None of the buttons seem to change anything as far as i can tell, the only error i see in the log for retro computers is for sortron so i dont think thats it. This isnt a new issue either I tried this mod a few months ago and had the same thing happen and tried it again recently because i saw the update. Is Sortron available in the latest version? Nope, it isn't, it will come back at some point though. Is there a way to enable the bundled redstone port if you are using Project Red? Also, is there any way we can have Project Red without having two multipart mods running at once? Redstone port is not currently compatible with Project Red, sorry. If the repo would update, I could do something about that. Yay, I can finally play with FORTH again. I was wondering if the in-game coding language is BASIC, because that is the only language I know how to use.